How do we science? / Marine Preservation / News / Science / Science and Communication / Scientists in Action! Working with sharks even before it was ‘cool’. Original image from Mote Marine. I realize the internet is awash with memories of the great Dr. Eugenie Clark and we here at UNdertheC Blog have spent a wonderful amount of time recently on awesome women in the marine and environmental sciences (see here and here), but I think we would be remiss if we didn’t add our own take and our own memories of the infamous ‘Shark Lady’. She was a truly amazing women who deserves to have her memory and her mark on the marine sciences etched in stone. But, she wasn’t done yet. She further dispelled rumors of the ‘man-eating shark’ after the premiere of Jaws with her numerous magazine and scientific articles, later publishing Lady and the Shark not only highlighting her underwater adventures, but helping to educate the public about these not-so-vicious creatures. She did a stint at University of Maryland before returning to Mote Marine after ‘retiring’ in 1992 to continue her research. And Dr. Clark truly was a remarkable women. 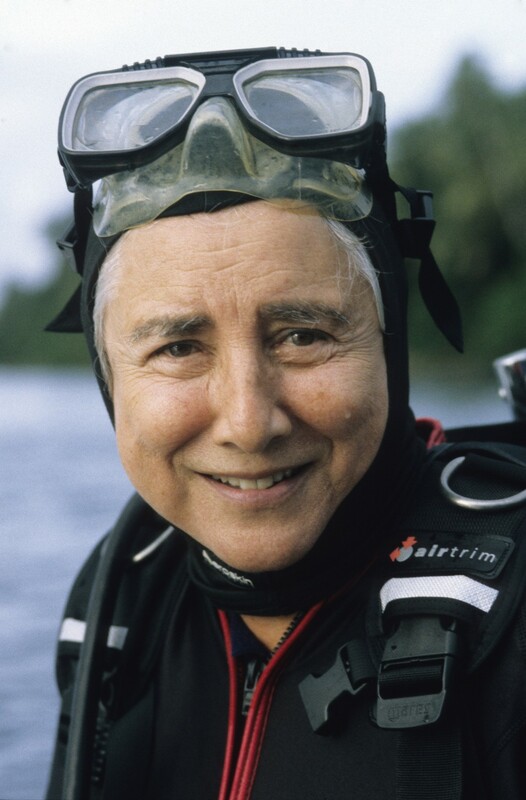 She not only paved the way as one of the first female marine scientists, but also had a long and respectable scientific career researching both sharks and sand fish, publishing countless numbers of scientific papers, presenting at hundreds of scientific conferences, writing numerous scientific articles for magazines like National Geographic, and all the while publishing books that helped inspire a whole generation of marine scientists. All in a day’s (life-time) work, right? I was even lucky enough to have worked just down the hall from her for two years. And everything you hear about her sense of adventure, work ethic, and scientific integrity is spot on. Despite being in her nineties, she still came to work, was still researching, and still publishing papers. Even after all I’ve learned about her in the past few years, I think what stuck with me most is the fact that at the age of 90, she was still diving (and the fact that she swam with whale sharks, even catching a ride on the back of one. Fun tidbit I heard around the lab). I can only hope that at the age of 90, I’ll still be diving. Still going strong, even in her nineties! Original image from Mote Marine. Dr. Clark, you will be sorely missed, but your legacy will live on, not only in the hundreds of scientists you inspired, but in the world-renowned marine laboratory you founded. You will always have my utmost respect and admiration. 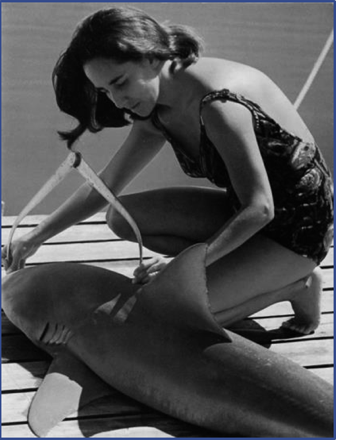 For more information on Mote Marine Laboratory and a more detailed recounting of her incredible life, see the links below. Tags: Current Events, Marine Conservation, Science. Bookmark the permalink. Previous post ← Why Might Warmer Water = Sea Lion Starvation?